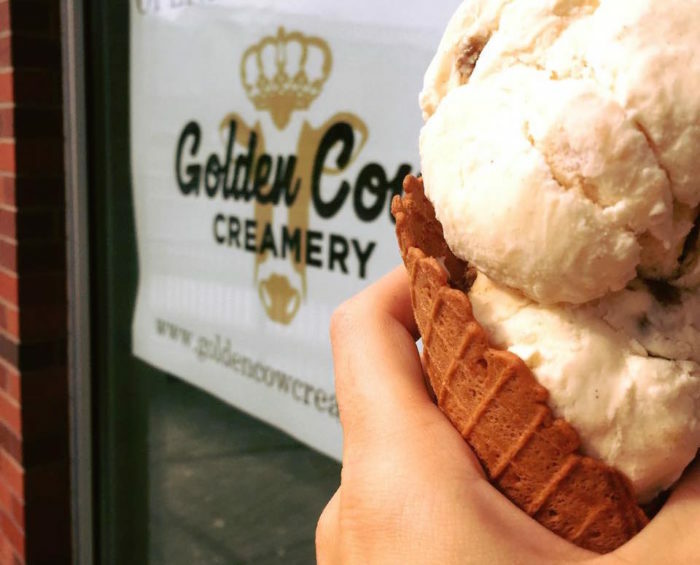 If you’re looking to get your ice cream fix in Charlotte, you must try Golden Cow Creamery in Southend. 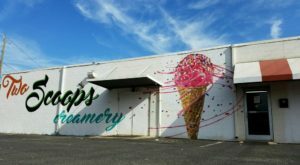 This tiny little ice cream shop opened last year and has been making quite a buzz in the community ever since. 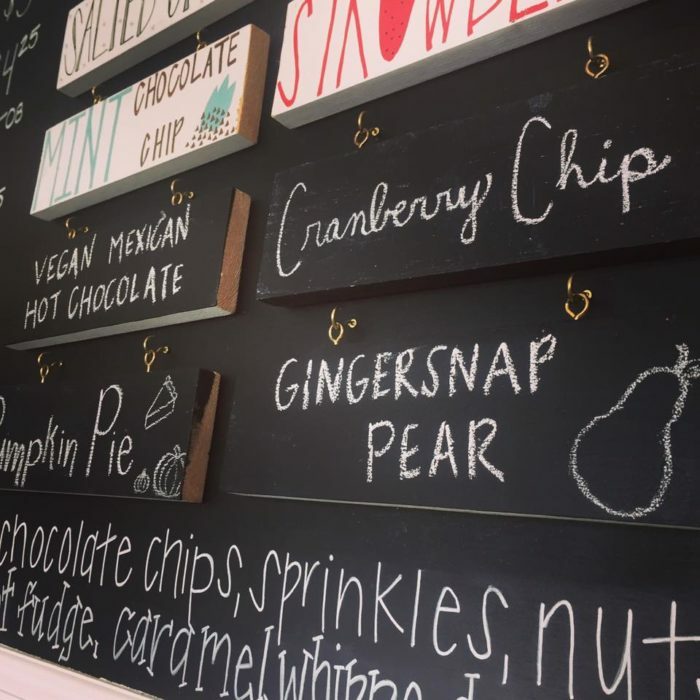 Serving some of the tastiest homemade ice cream and treats you’ll find in the QC, locals line up at the door to treat their tastebuds. 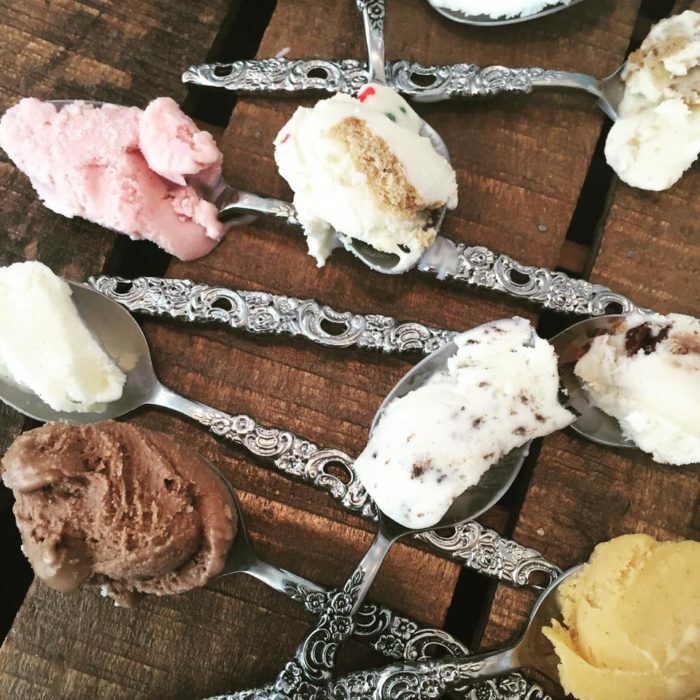 Golden Cow Creamery is Charlotte's first "craft" ice cream shop. 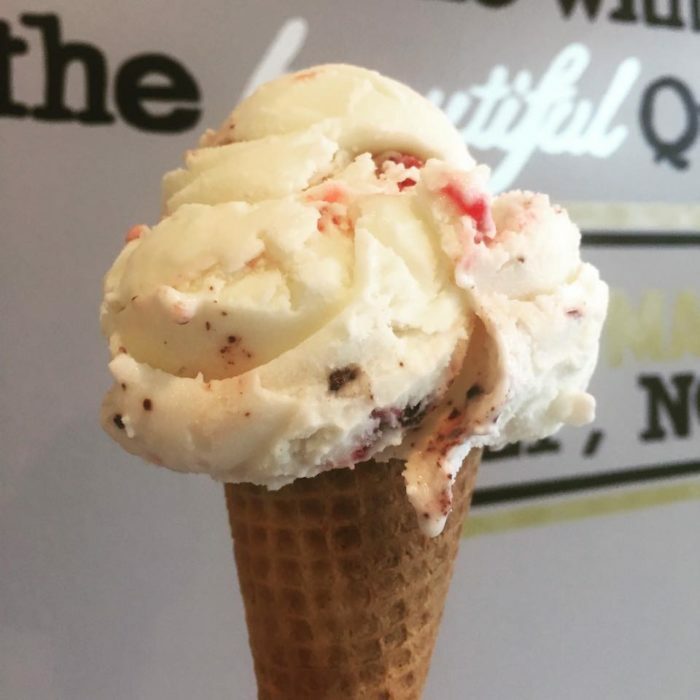 Opened by husband and wife team Alex and Liz Hannah, Golden Cow Creamery started when Alex and Liz realized that there were no ice cream shops in the QC offering delicious, high quality ice cream made from natural ingredients. Every ice cream flavor is made with only basic ingredients, including fresh milk, cream, sugar, real fruit, and real spices. 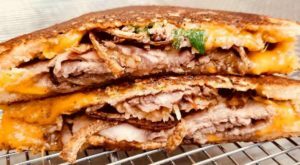 The unique flavors you'll find at Golden Cow are inspired by North Carolina's diverse food culture, as well as by other experiences, sights, and tastes that owners Alex and Liz picked up while traveling around the world. The menu changes monthly and introduces the flavors of the season. And while there are a few favorite flavors that remain on the menu all year long, a Flavor of the Month is introduced on the store's Instagram page on the first of every month. Customers mark their calendars to find out what new delicious creations Golden Cow has come up with for that month. Around Thanksgiving, Golden Cow even has a cranberry sauce creation! 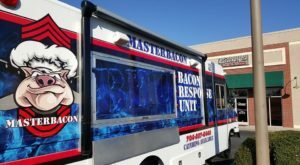 They use a sauce made from scratch, with cranberries, pineapples, orange, and spices and swirled into a light vanilla ice cream. Of course, there are always favorite flavors on the menu for you to enjoy year around. Signature flavors include Rich Chocolate, Creamy Vanilla, Fresh Strawberry, Mint Chocolate Chip, Salted Oreo (our favorite!) and Dunkaroos - vanilla ice cream with crumbled up Dunkaroo cookies mixed in. 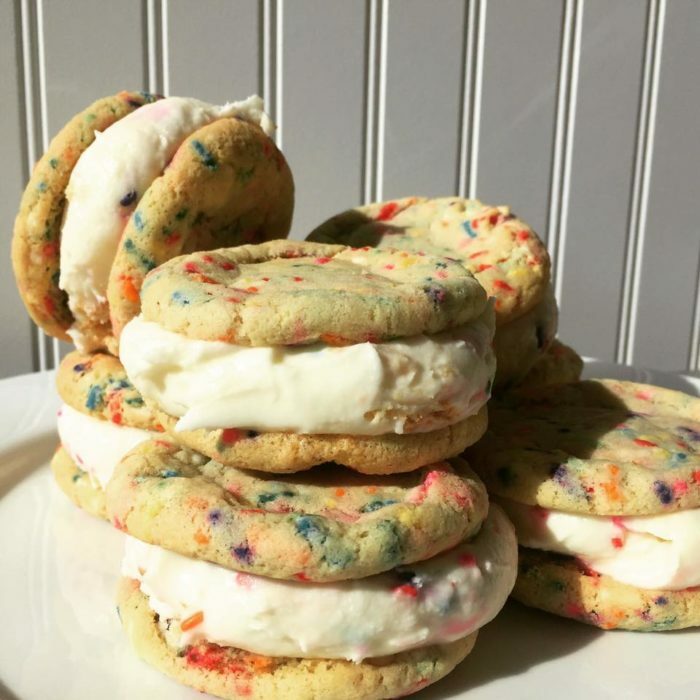 And did we mention, Golden Cow Creamery has the BEST ice cream cookie sandwiches? In addition to an ice cream cone or a cup of your favorite flavor, you can always ask for the flavor of your choice loaded in between to freshly, homemade cookies. Is this ice cream heaven? 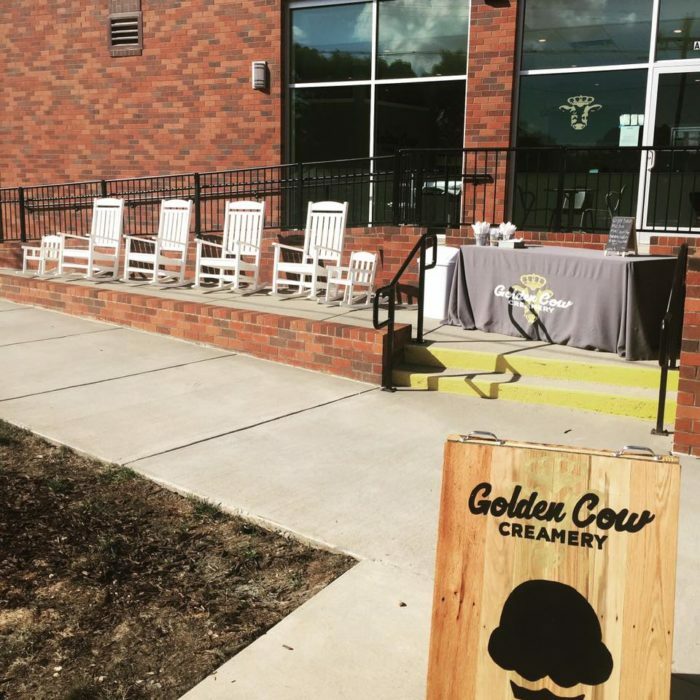 Golden Cow Creamery has a mission to bring joy to the local Charlotte community by sharing it's amazing ice cream flavors citywide. 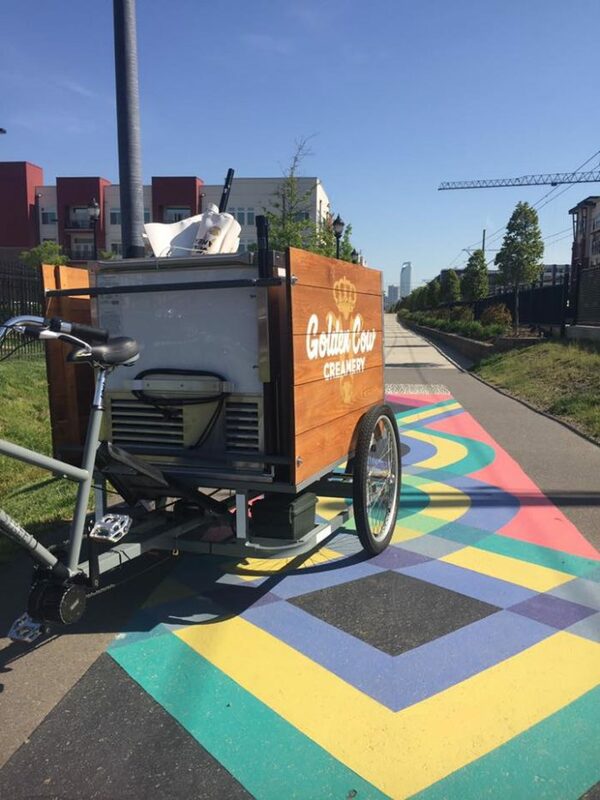 This is why you will often see the Golden Cow Creamery cart at events, breweries, and local parks, offering residents a treat just when they need it. 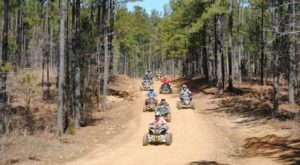 Giving back to the community is so important at Golden Cow, they've even created a special program for it. 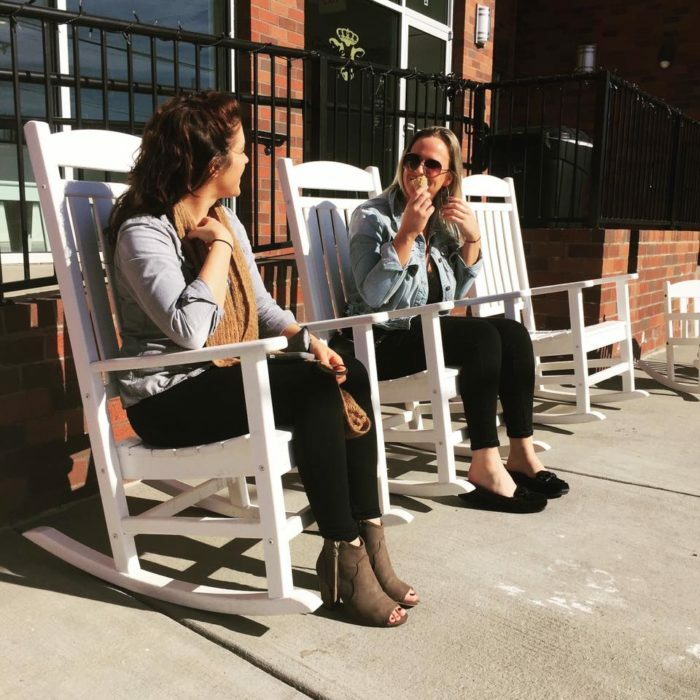 The Golden Cow Queens Share program allows Golden Cow Creamery to give a portion of the proceeds from the sale of every scoop of ice cream each month to a specific Charlotte charity. 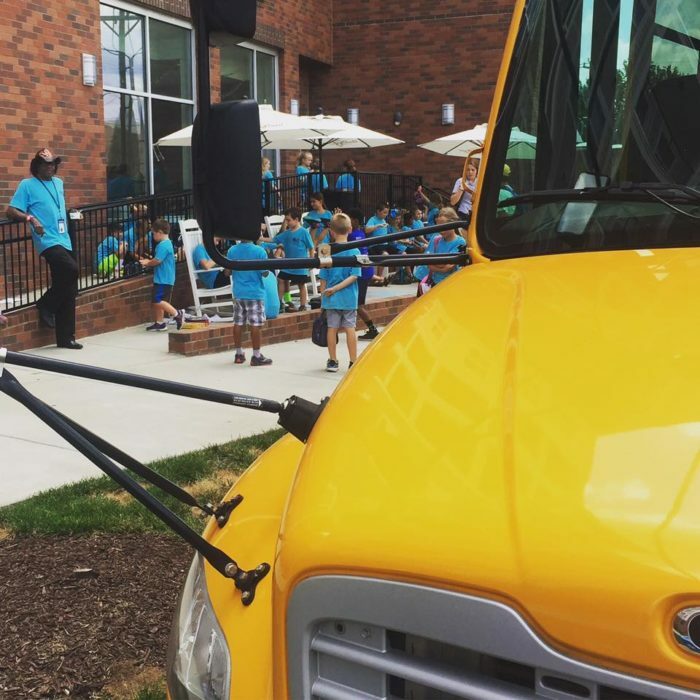 The Golden Cow partners with all different kinds of charities in the QC and is always looking for new partnerships in this program. 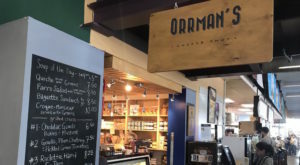 When you visit Golden Cow Creamery, not only do you get to enjoy the best ice cream in town, you are also giving back to those who need it in our community. Does it get any better than this? 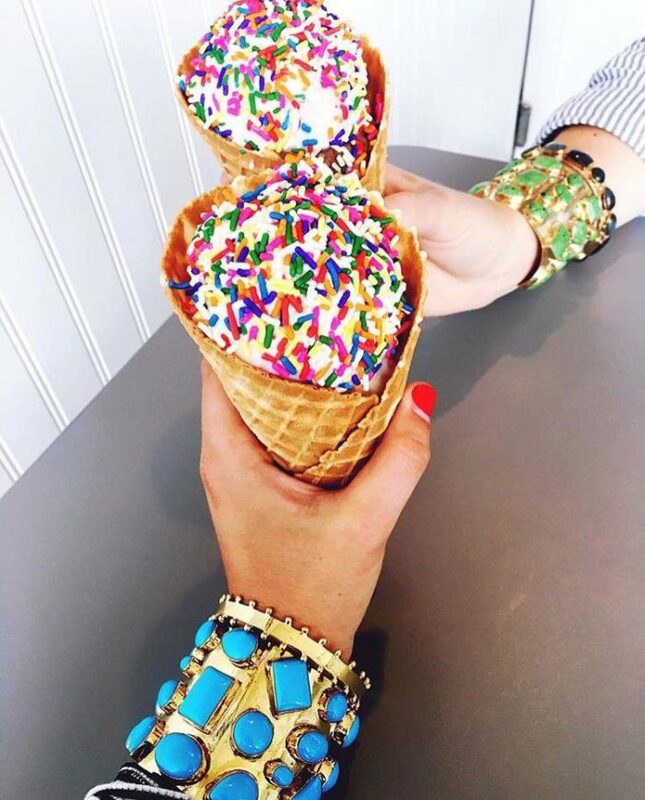 Some days there is nothing better than heading out for a sweet treat with a friend. 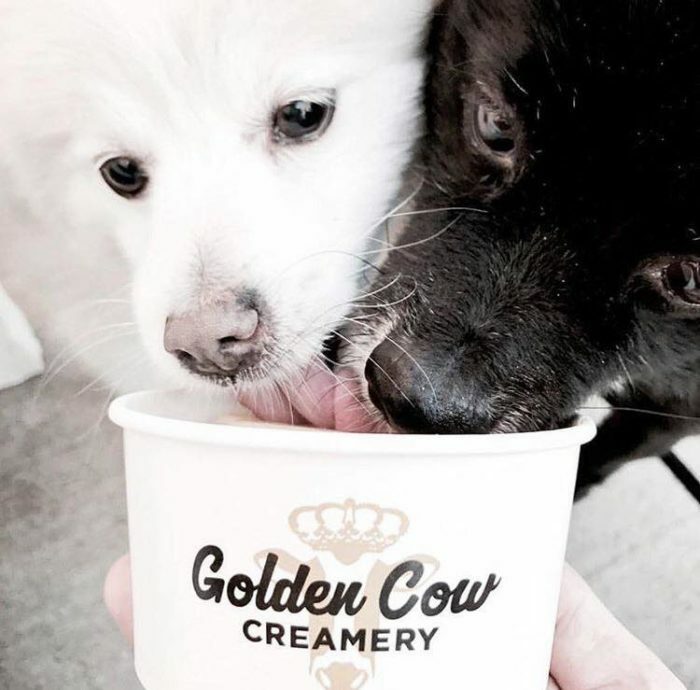 Grab your favorite person for a pick-me-up at Golden Cow Creamery. It will be the bright spot in your day. It's everyone's favorite - even the pups! 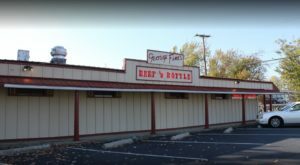 Have you tried Golden Cow? What’s your flavor? We’re always excited to taste-test new treats! Is your sweet tooth still calling? 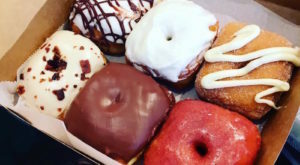 Check out these other amazing ice cream shops in Charlotte, and you definitely don’t want to miss these delightful donut shops in the city!